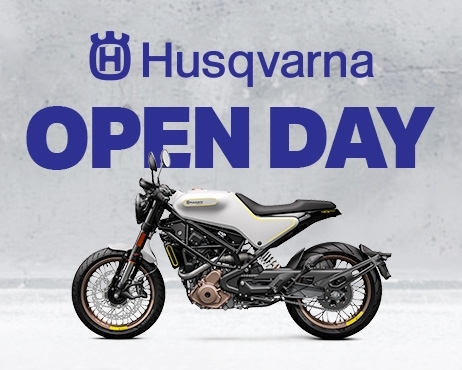 Prepare to experience a pure and authentic riding experience at the Husqvarna Pioneer Open day on the 10th September here at at our Shepherds Bush branch. Showcasing the latest Husqvarna Vitpilen and Svartpilen range, we invite you to come and join us to take part in the action and test ride these beautiful urban icons. Choose from the Vitpilen 701, Vitpilen 401 along with the Svartpilen 401, three uniquely crafted machines designed to satisfy the thrill of riding whilst delivering a truly dynamic experience. All riders who attend and fulfil a test ride will be entered into a competition with a chance to win a top-to-toe Husqvarna street riding clothing, and will receive a free surprise gift on the day! Refreshments will be available on the day so book your test ride here or give us a call at our or Shepherds Bush branch at 020 3319 2800 and speak to a member of our team.